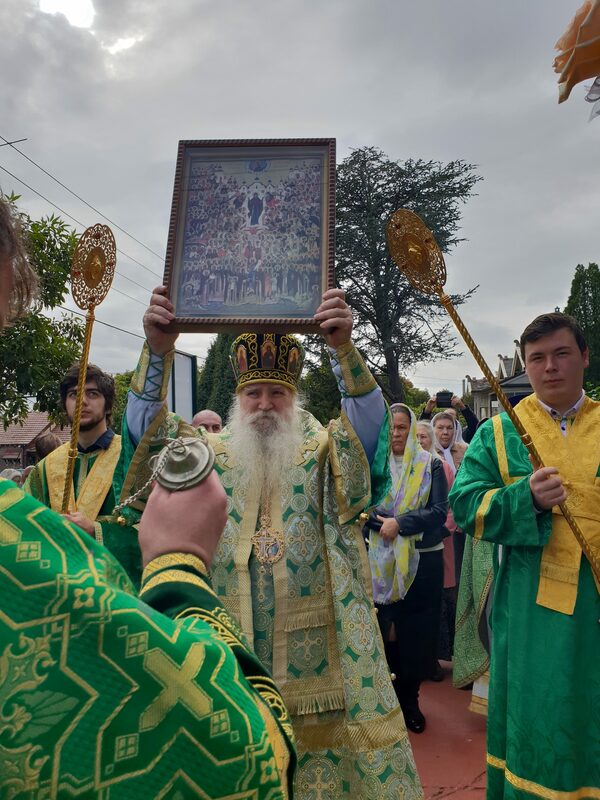 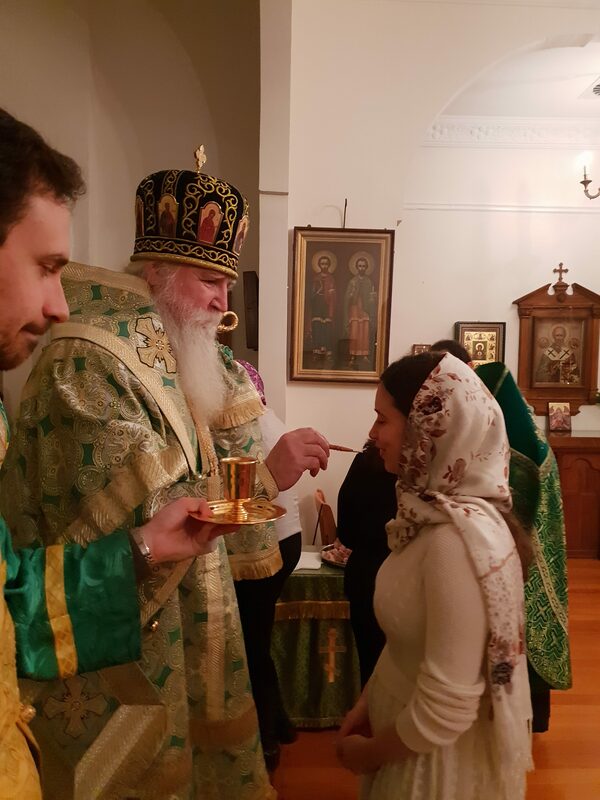 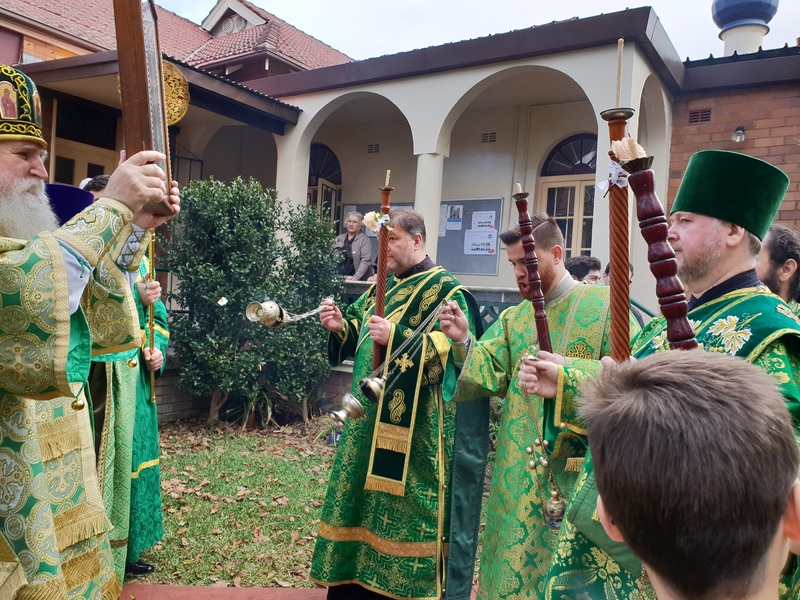 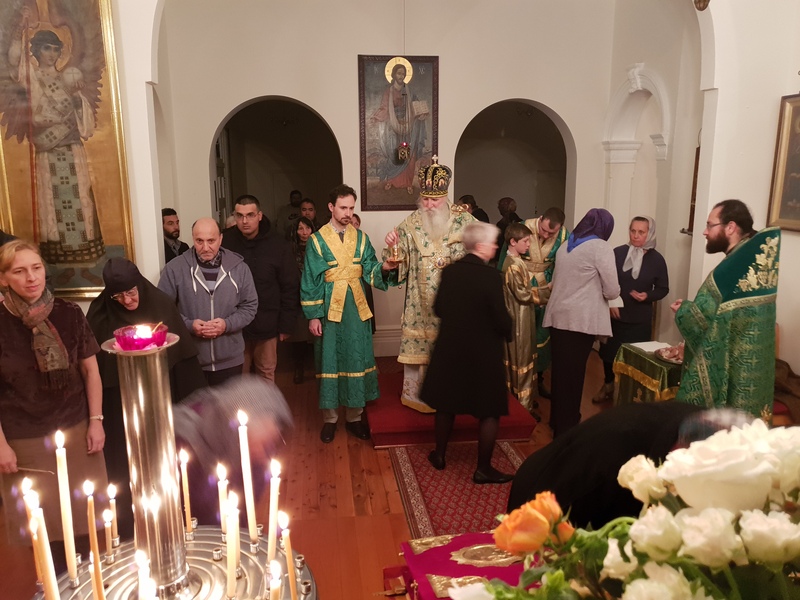 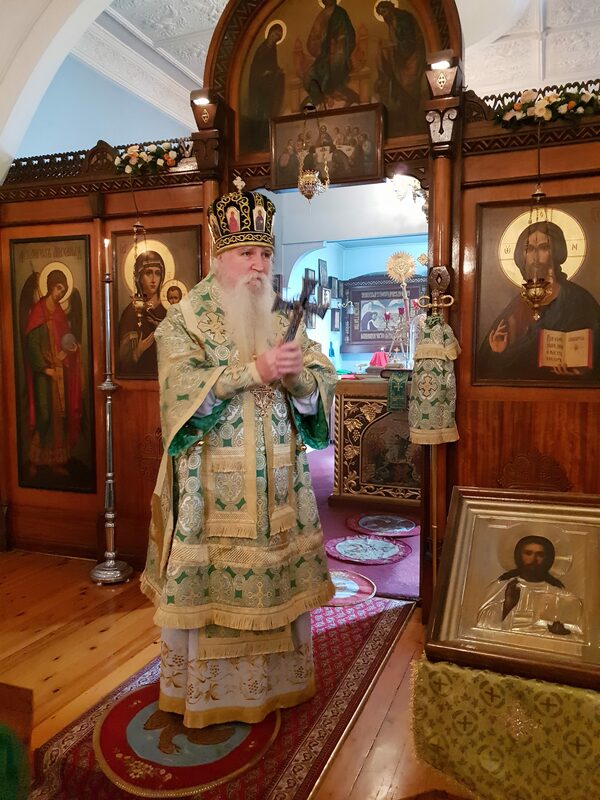 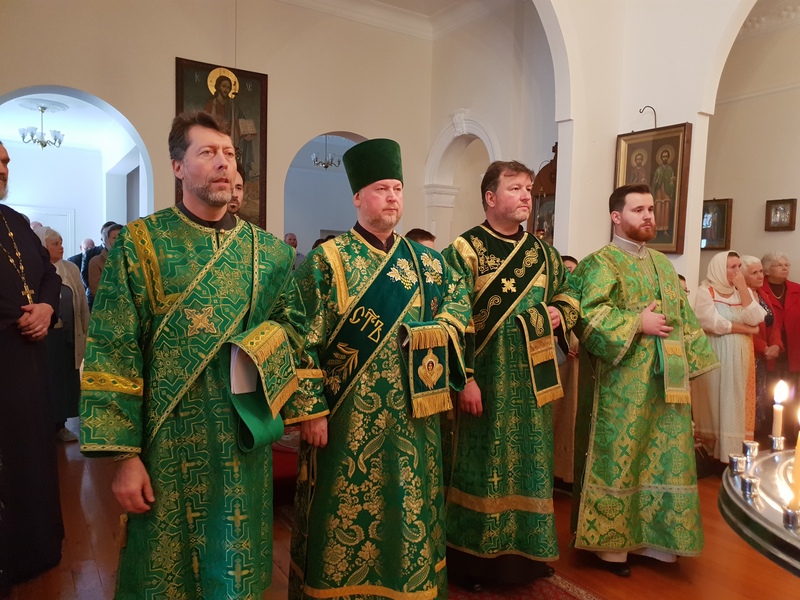 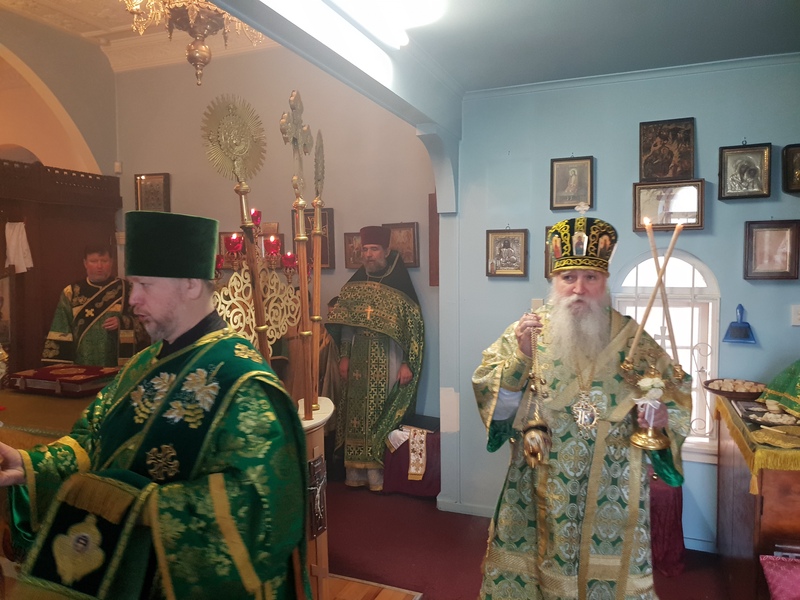 On Saturday the 9th and Sunday 10th June 2018, the feast of All Saints of Russia, the Divine services were held in Croydon NSW in honour of the parish’s names day. 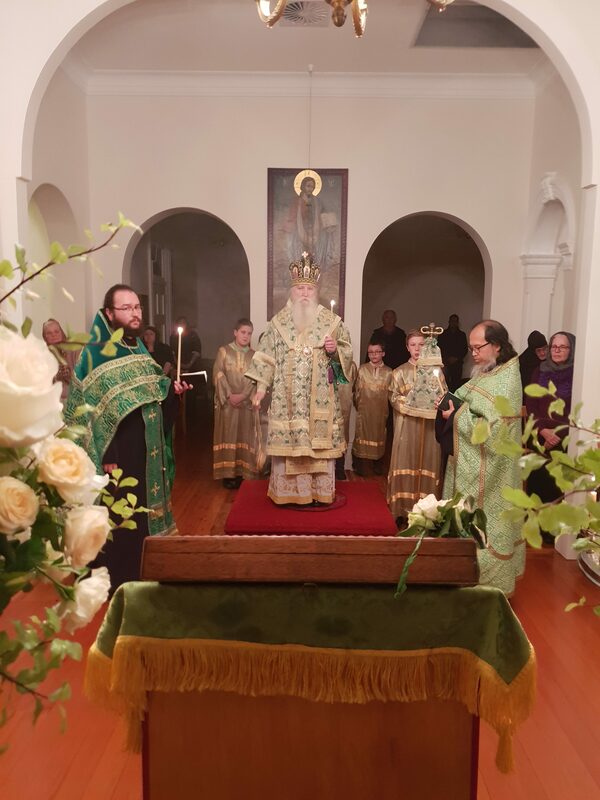 On Saturday evening, the All-Night Vigil was led by His Grace Bishop George of Canberra. 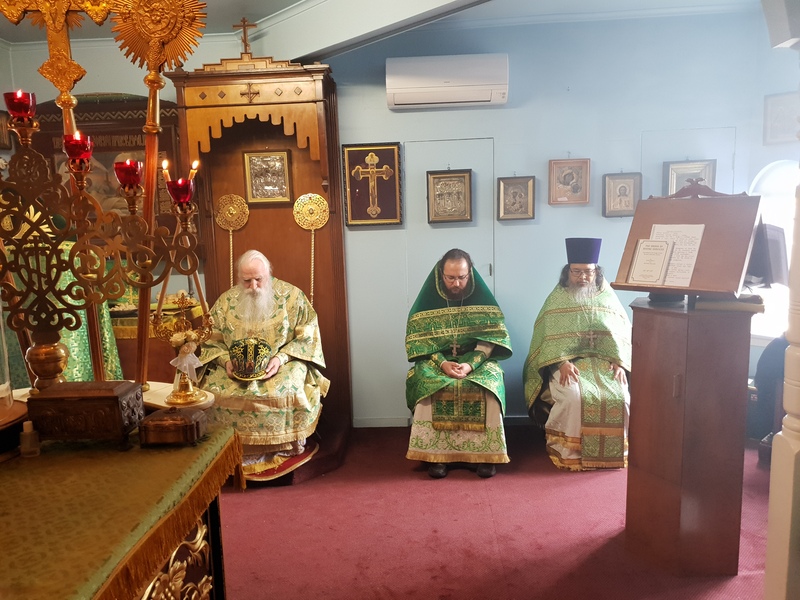 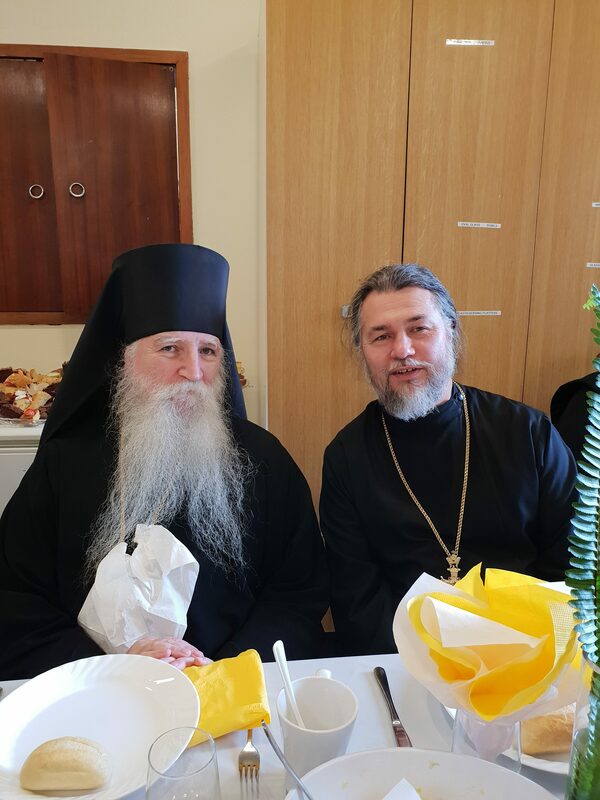 Co-celebrating with Bishop George were priest Simon Nekipelov (rector), priest Dionysios Halim, protodeacons Alexander Kotlaroff and Constantine Moshegov. 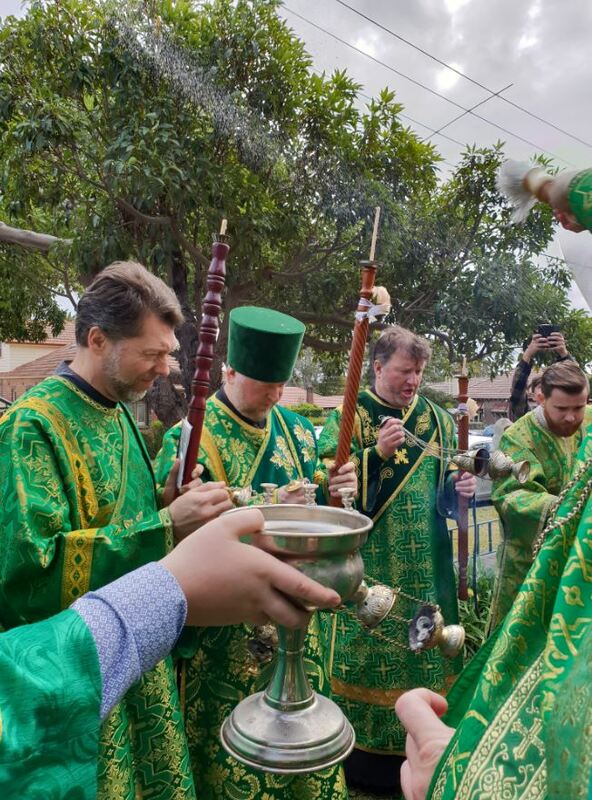 In the early morning the following day, the lessor blessing of the waters was served by Fr. 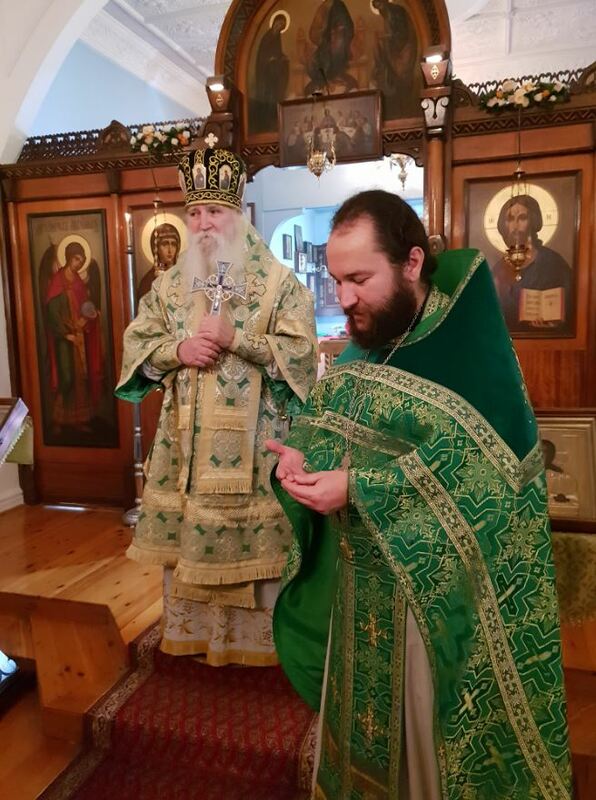 Dionysios. 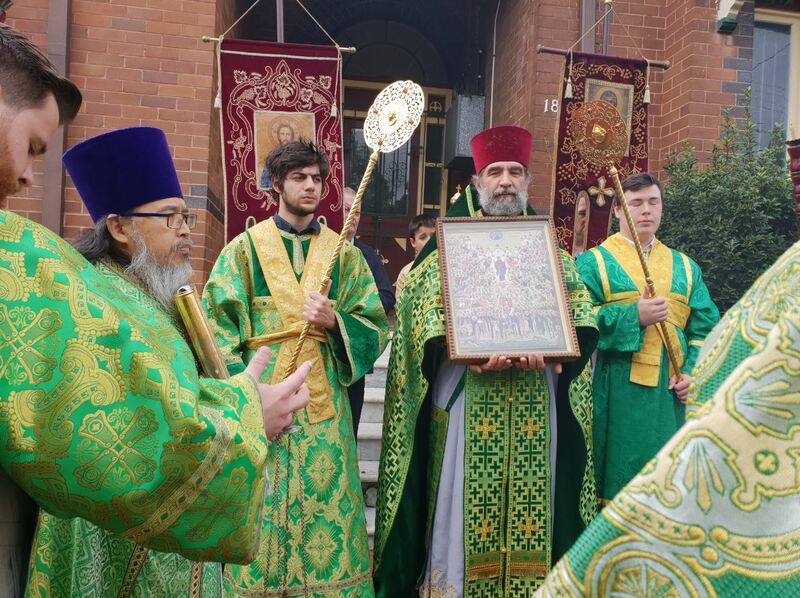 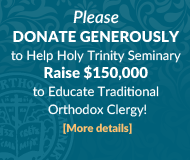 At 9am the clergy greeted His Grace Bishop George and the Divine Liturgy commenced. 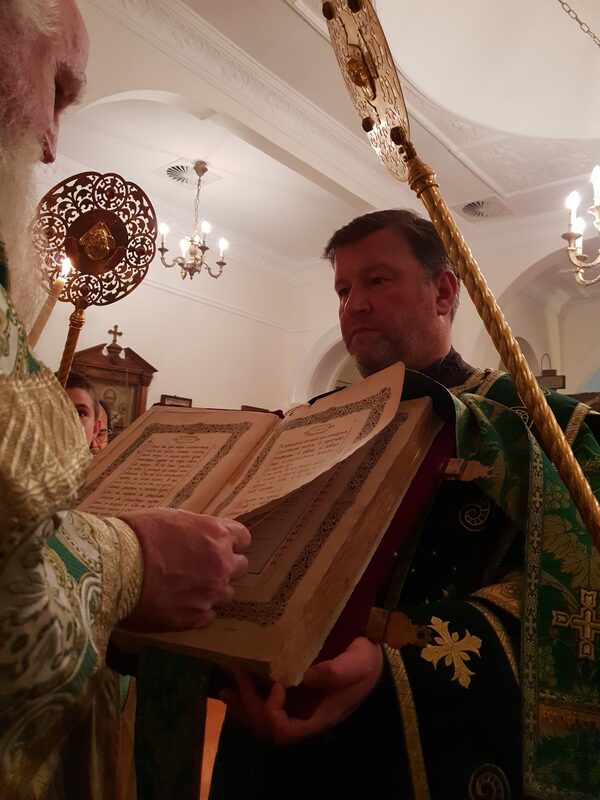 The church was full with the faithful and the choir lead by reader Lawrence Boikov sang reverently. 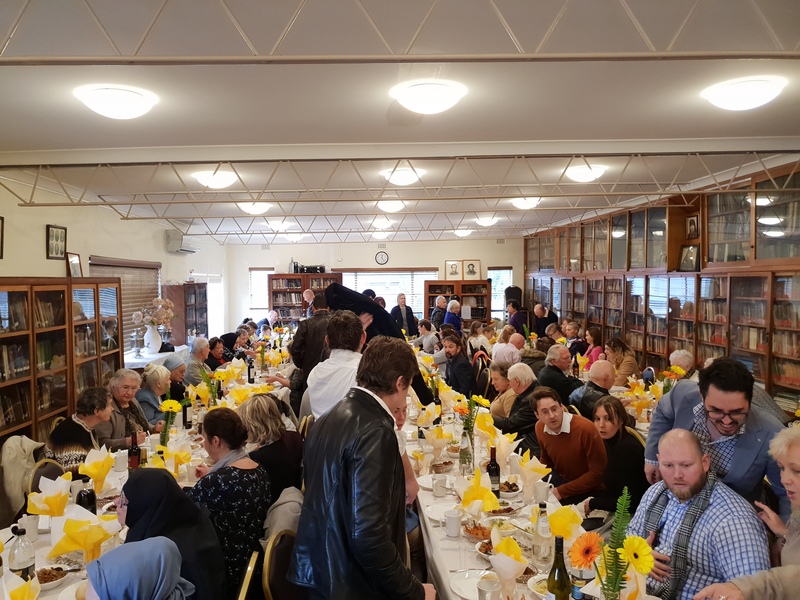 After the Liturgy, a festal banquet was held in the church hall and the marquee was put up to cater for those that did not fit in the hall. 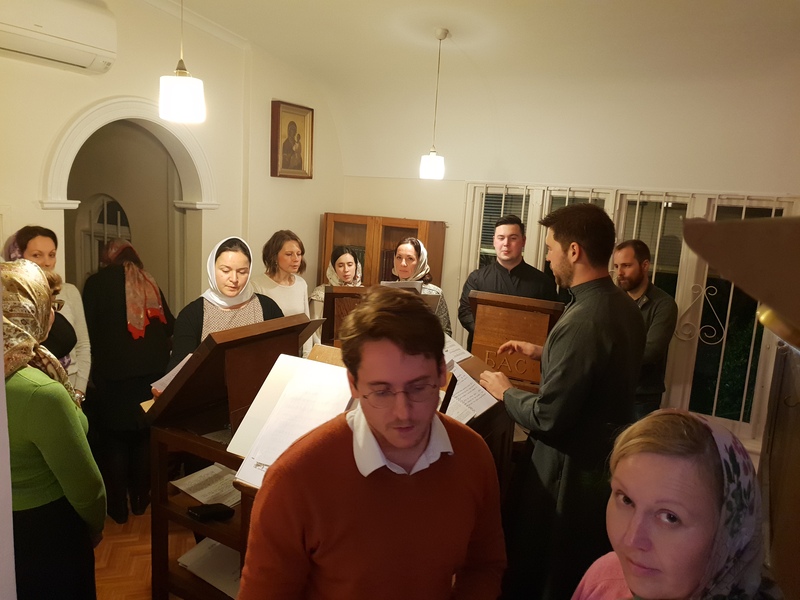 The sisterhood prepared plenty of delicious lenten food and everyone enjoyed the warm hospitality.